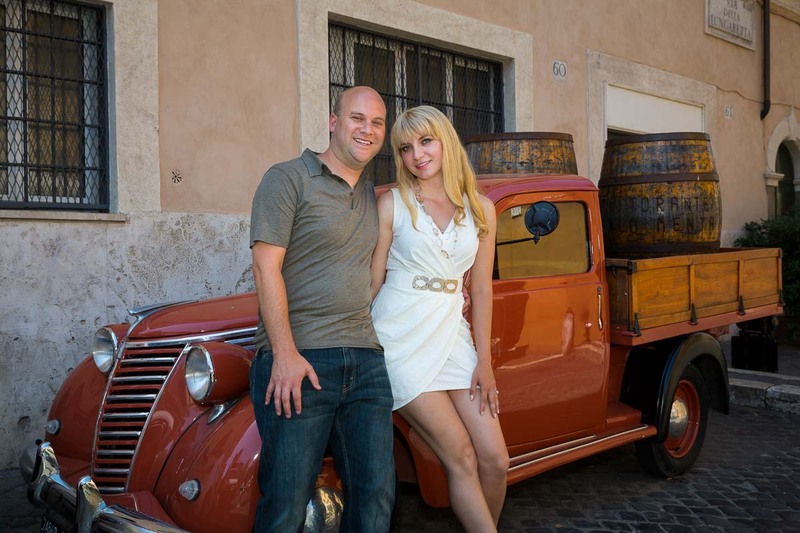 The engagement photo shoot was decided on the spur of them moment after Dave proposed to Ashley here in Rome Italy. So it was kind of a last minute arrangement to put together the itinerary and to set up the car to take us from place to place. And a truly wonderful photo session came out! We started with the car pick up at 8:00 am from a street nearby Basilica Santa Maria Maggiore. From there we headed straight to Ponte Castel Sant’Angelo to benefit from the early morning light and to avoid the large crowds on the bridge. The light was just perfect and we were able to capture some nice imagery. Dave and Ashley also had with them a symbolic lock to secure their engagement on the bridge. 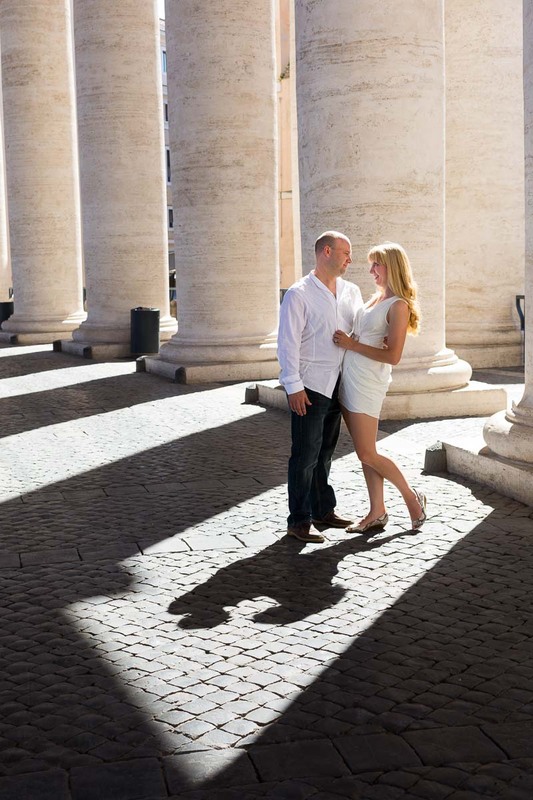 Our next stop was the Roman Vatican where we shot some nice pictures under the colonnade. We were able to capture some nice light effects around the massive columns that are found on the perimeter of the square. The Gianicolo water fountain was next where we found perfect illumination. So we began with some pictures underneath the fountain with beautiful emerald green water. 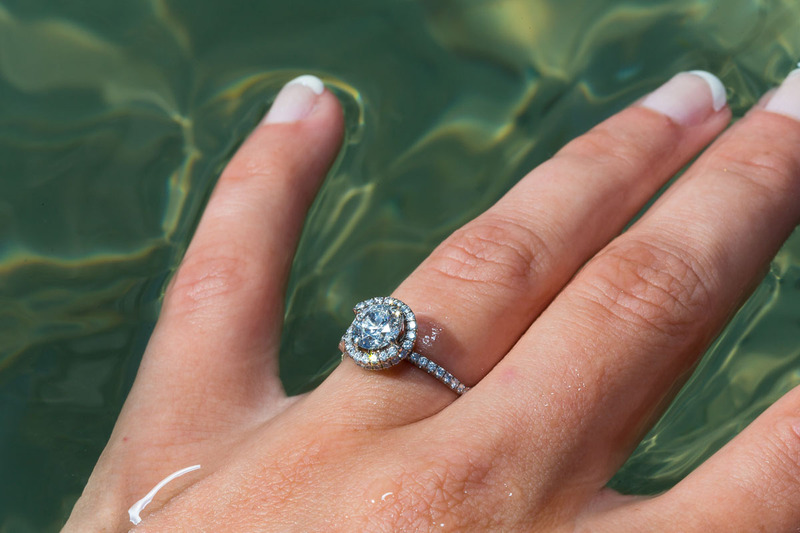 We also used the color of this water as background to the engagement ring pictures. Then we focused our attention to the beautiful view over the roman rooftops. Such stunning panorama. 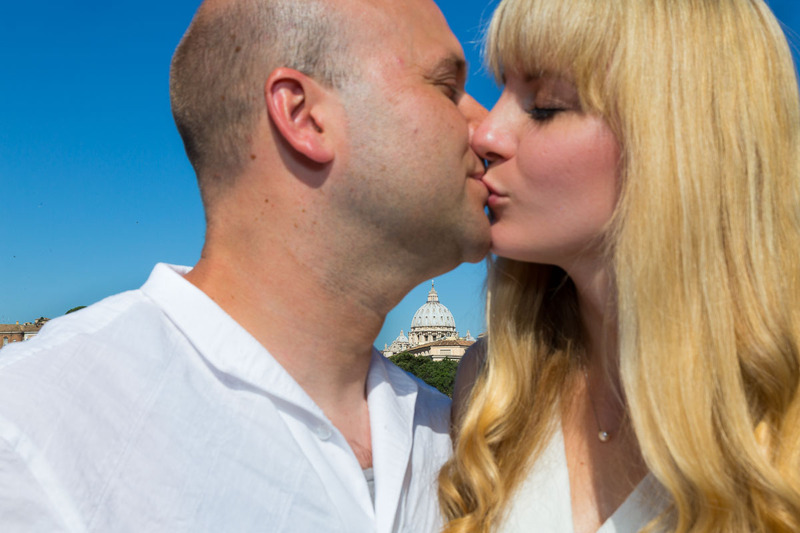 On our way to Trastevere we stopped over Circus Maximum to shoot some nice engagement photos with the Palatine hill as background. It might not seem like it in the pictures but it was getting quite warm now! 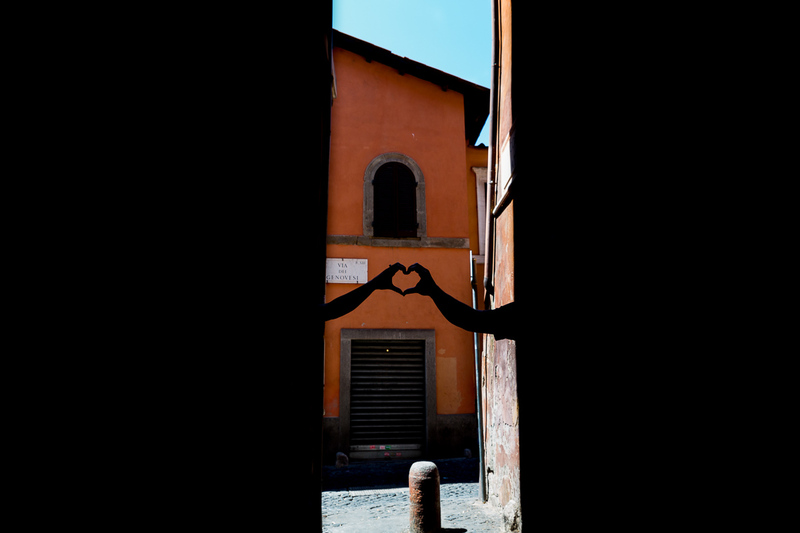 Trastevere and the alleyways were perfect to find some shadow and to feel a really cool breeze in between the alleys. I love photographing here as there are infinite creative possibilities to get some really nice images. We ran into unique and colorful doorsteps, interesting vintage trucks that were carrying wine barrels, romantic restaurants and the alleyways which so characterize the Trastevere area. We walked across the whole quarter and reached Church Santa Cecilia in Trastevere where our photo session ended! Thank you for the wonderful time. Wish you all the best! 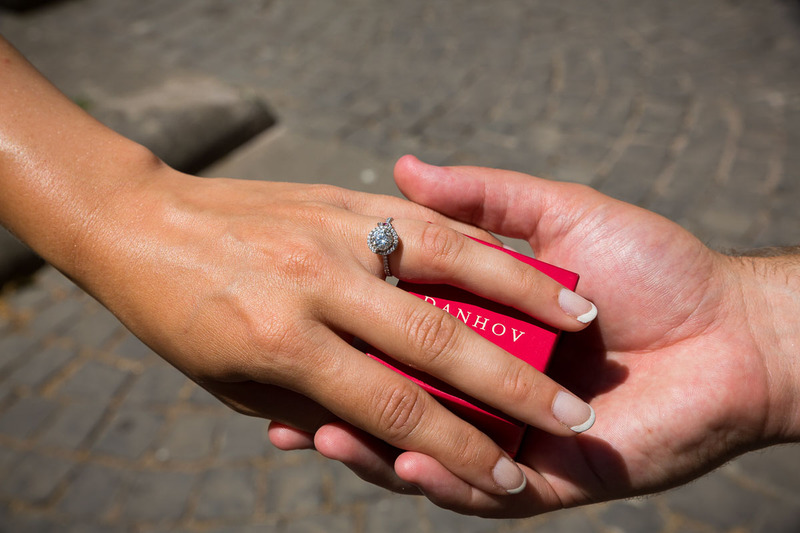 Check out the places to get engaged in Rome on this dedicated page. 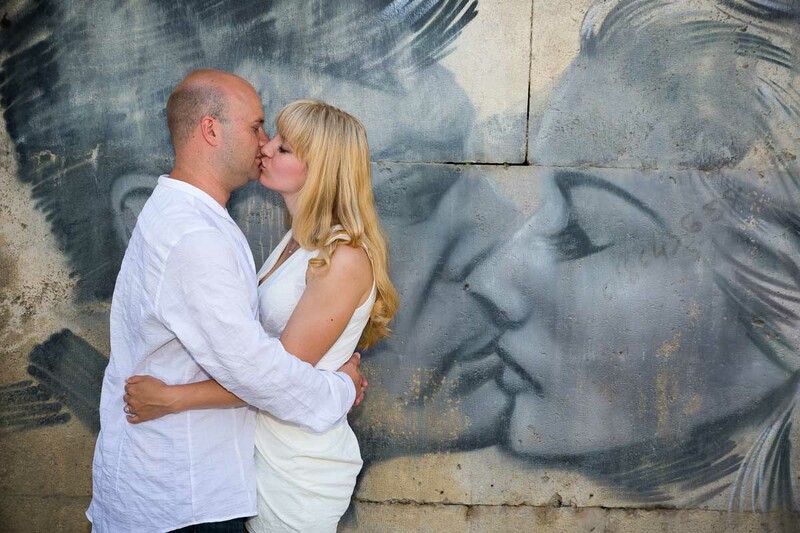 A fun and creative photo shoot around the city. Starting early in the morning to capture the best light and to avoid the crowds. Using a car service to reach all the most beautiful locations the roman city can offer.